See How Two Girls are Making a Difference in Kenya! This past year Continental Currency Exchange sponsored an amazing girl named Mackenzie Summer, who through her drive and determination made it her personal mission to travel to Kenya and make a difference. Combined with the direction and support of the ‘Me to We’ foundation, and help from her local community, her dreams became a reality. Joined on the voyage by her friend and mentor Sarah Little, a local high school teacher from Bowmanville, Ontario, every moment spent abroad was about making a difference in Kenya – both for the people there and for Mackenzie and Sarah. From building new facilities to getting to know the local children, Mackenzie and the other volunteers worked hard to make a lasting, positive impact in people’s lives. Read on to experience Mackenzie and Sarah’s life changing adventure in their own words! “Jambo! That is hello in Swahili! Our names are Mackenzie and Sarah, and this past March Break, Continental Currency Exchange’s sponsorship allowed us to embark on a Me-To-We volunteer trip to Kenya. We, along with other students and educators, were able to experience international development first-hand by visiting Free The Children projects, participating in the building of a school, immersing ourselves in the daily life of a rural community, and learning about important social issues faced by the community and how they are working to overcome their challenges. Mackenzie and I wanted to say “Asante Sana” (thank you very much) to Continental Currency Exchange for their support and also to share with you some of the things that we learned on our journey. Mackenzie and Sarah’s trip to Kenya afforded them and the other volunteers an opportunity to experience international development on the ground level. Not only that, but they were able to see the difference in lifestyles between urban and rural areas. 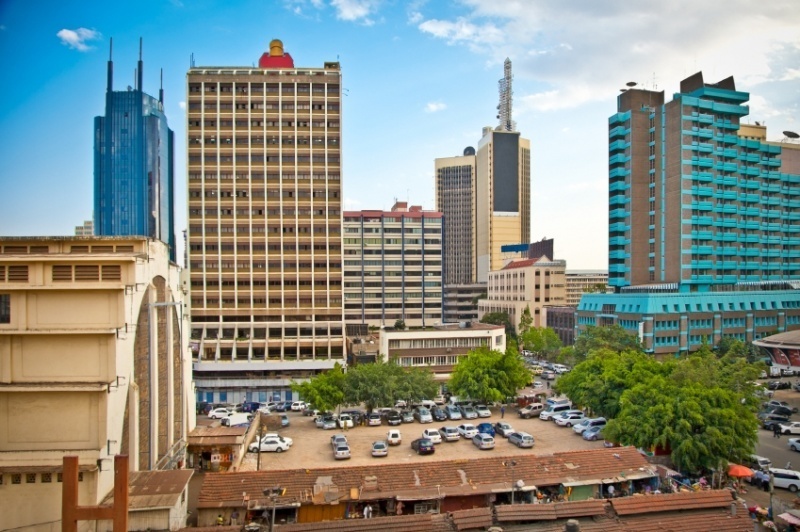 Cities such as Nairobi are very westernized, with recognizable chain stores dominating the streets. 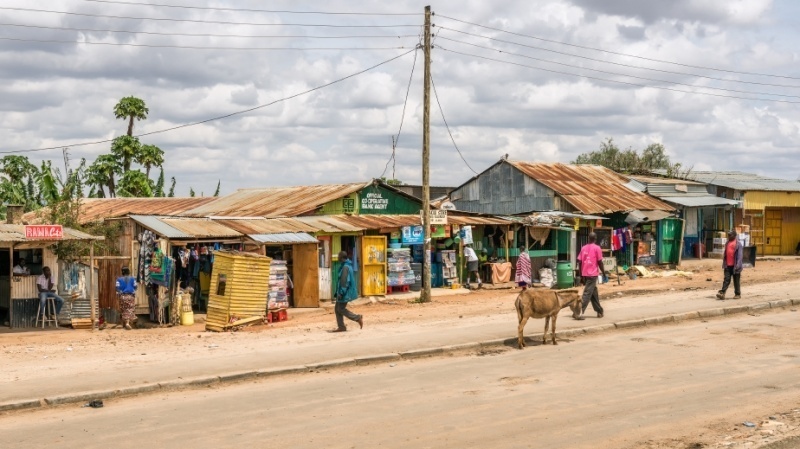 The rural communities known as “the Mara” are an entirely different world with an altogether unique daily life and struggle. The difference between city and rural life can also be seen in the way currency is used. 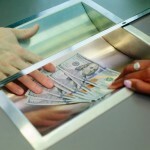 Tourist heavy areas, especially in the cities, will often accept US dollars – although Kenyan shillings are preferred. In the outskirts however, shillings are the only currency accepted, plus there are no price tags. This means you have to negotiate the price for everything! “There are some unique expectations regarding currency and entry into Kenya. In many places, acquiring Visas prior to travel is recommended, while for Kenya we were encouraged to obtain Visas at the airport. The paper work was quick and easy, and payments are made in USD – specifically a $50 bill printed AFTER 2006. 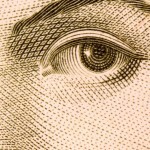 Older bills or combinations of other denominations are not accepted. Working on building a new vocational training centre for girls. The girls will be able to study and live there! Unfortunately, over 50% of the population of Kenya lives below the poverty line. The average weekly income for a family in the region ‘Me to We’ were located is 5000 schillings, which is equivalent to about 5 Canadian dollars. To experience their lifestyle, Mackenzie had to take these funds, go to the local market, and attempt to buy enough food for the entire week! Families are often forced to sacrifice healthy, quality, and diverse food choices for what they can afford. Mackenzie and Sarah’s experiences only work to emphasize the difficulties of rural life, and what the local population have to endure. Still working on the vocational centre. Also, you can see Mackenzie making the ‘water walk’. This involves walking over a kilometre to the local river to bring back water – a walk often made 5-8 times per day. Western influence can have both positive and negative effects on Kenyan communities. Big businesses often push smaller enterprises out of the market while a reliance on one time gifts and supplies makes it harder to foster growth. On the other hand, many western organizations like Me to We work closely with the communities to improve facilities, promote education, and modernize without losing sight of important cultural and societal values. Here we see Mackenzie reading to students from the Emori Joi Elementary School. As you can tell, she was pretty popular! One of the most important parts of development work in countries like Kenya is the perspective on women’s role in society. Many women are often so busy they don’t have time to develop income generating skills or get an education. In some cases, women are trying to change this to create a brighter future. This community leader was able to send all her children to school, build a modern house, and become an important figure in her community. As the opportunities for women to generate income increase, the better the chance their families will be able to be free from poverty in the long term. Image courtesy of www.metowe.com. Visit their website for more information! Making a Difference in Kenya! The sentiments from everyone here at Continental have been tremendously overwhelming. We can hardly begin to express how proud we are of Mackenzie and Sarah’s actions and their drive to start making a difference in Kenya, and we’re so happy that we were able to help make this dream a reality. We want to say thank you for all of their hard work and determination, and everything they helped accomplish. Actions like these demonstrate what it truly means to be a global citizen. Find out more about all the good work ‘Me to We’ is doing here. The Continental Current is ALIVE!